​Off-the-field drama can't seem to stay away from the talented ​Kansas City Chiefs. And this time, fans are going to be in panic mode with superstar receiver Tyreek Hill being involved. After Kareem Hunt was released from the team during the middle of the season after footage surfaced of him in a ​physical incident with a woman, the KC front office was hoping for an offseason of no incidents. Not going to happen. According to the Kansas City Star, Hill is being investigated for alleged battery. What makes this case even more daunting is Hill has been accused of hitting his own son. ​​According to the police report, the incident was reported on Thursday, and his fiancee Crystal Espinal is listed as the other person involved. Per a KC Star source, Hill is under investigation for hitting the couple's young boy. 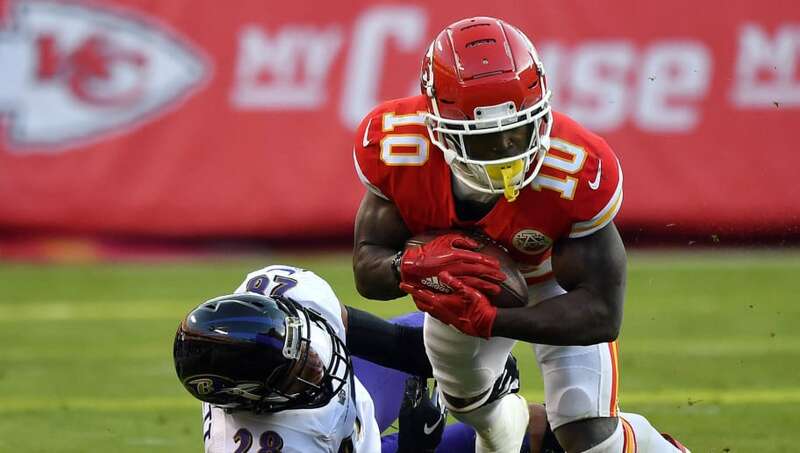 Breaking: #Chiefs WR Tyreek Hill is under investigation for alleged battery, per @KCStar. The team is aware of the situation. More details are sure to come from this incident, but for Hill, this is simply the last thing he needs right now heading into what the Chiefs are hoping is a Super Bowl campaign in 2019.